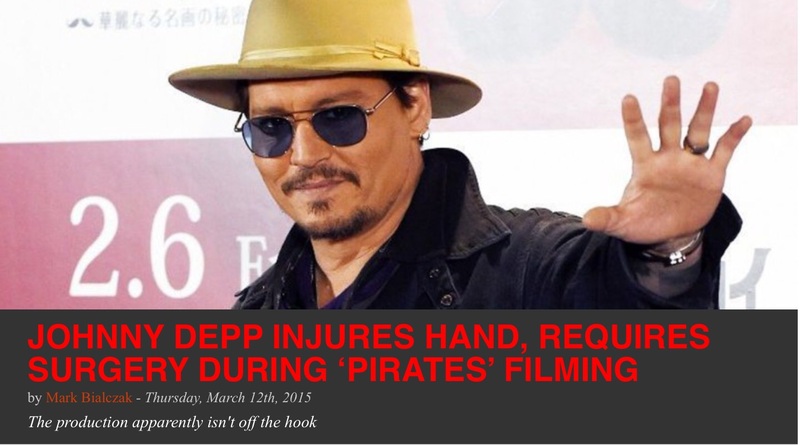 So while in Australia filming the fifth edition of “The Pirates of the Caribbean” franchise, Johnny Depp hurt his hand. I discovered this disconcerting news while compiling my weekly Film News blog posted every Thursday morning on the Syracuse New Times site. You can read where that revelation led me by clicking the link below. Depp needed surgery. The second half of the movie title is “Dead Men Tell No Tales.” He will be able to talk. Yay. Are you a fan of the “Pirates” series, and why? Are you considering an Apple Watch, and why? Box office movie tickets or online ahead of time, and why? On the wake of a farcical ‘Mortdecai,’ how do you prefer your movie humor? Okay, Mark, I was about to be disappointed that this wasn’t a pun on an injury to an intimate area (once I knew there was no serious injury involved), but that other crack you made cracked me up! Cliche, yes. It might prop up the series, though, Susie. Mark, not a big pirates fan, but loved Benny & Joon! I like his other work better than this series, too, Diana. I still love Depp. I know he’s had his missteps, but I think he’s talented. “Pirates” I can take it or leave it. I have no need for a watch and already pay through the teeth for family phones. Incredible! Which is why I stand in line for reduced popcorn, too. Oh yes, it’s worth it! 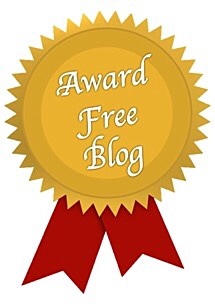 It is exciting to get a free ticket or free anything, for that matter! Watches…phones, good grief. I haven’t watched many Depp movies. I should see the Pirate series, I guess. I’m a fan of his work in Finding Neverland, myself. Good grief, I agree, Aud. Too much technology. Poor Johnny… I like the Pirate movies! If I injured my hand I would be out of work so I don’t want that to happen!! Indeed, Christy. Gotta keep the typing hands in order! I am a big fan of the Pirates movies, since you can count on them to ‘deliver’ entertainment, Mark. I have been dismayed at times, when ads led me into a movie, which wasn’t as funny or ‘good’ (in my mind) as I expected… Anyway, I will see them on the big screen with my 55 and over card at the Strand. As far as the watch is concerned, in Ohio there was a newscaster who announced you could ‘rent’ a watch to try it on and find out how you liked it, for $50 a week. Wow! Not sure I am even ready to give up my flip phone, it fits in my pocket and does fairly well with photos, too. I would not rent it for $5 a week, Robin. Don’t need it. Your husband is good for your horizons, Kate. I like Johnny Depp’s range, too. Loved ‘Mortdecai,’ in fact. I want to see that! The previews looked great. It was really funny. I liked Gwyneth, too.